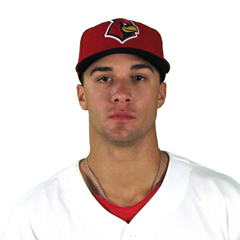 On Thursday, the St. Louis Cardinals named outfielder Harrison Bader and right handed pitcher Jack Flaherty the organization’s minor league Player and Pitcher of the Year. The two will receive their awards at the Baseball Writers’ Dinner on January 14 in St. Louis. Bader, 23, was St. Louis’ third round draft pick in 2015, and moved quickly through the minors, making it to highest level within two years. 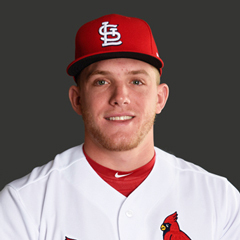 Bader made his major league debut with St. Louis in June of 2017, and made appearances in 32 games. The outfielder had a slash line of .283/.347/.469, with 20 home runs in 123 games with Triple-A Memphis. Flaherty also made his major league debut in 2017, as a September call-up. The right-hander started five games for St. Louis, but struggled, going 0-2 with an ERA of 6.33. In the minors, however, the 22 year old excelled, going 14-4 with and ERA of 2.18 in 25 starts between the Triple-A and Double-A levels. Rick Hummel of the Post-Dispatch writes of the Cardinals’ continued interest in Toronto third baseman Josh Donaldson, as well as Tampa Bay closer Alex Colome and free agent reliever Addison Reed. Hummel suggests the lack of any movement toward an extension by Toronto to Donaldson may signal more of a willingness to move him. The Cardinals annual Winter Warm-Up is scheduled for January 13-15 in St. Louis at the Hyatt Regency Hotel. The annual BBWAA dinner is scheduled for Sunday evening the 14th at the Union Station Hotel in downtown St. Louis. Admission and player autograph tickets for the Winter Warm-Up are on sale now either online at Cardinals.com or at the Busch Stadium Box Office. Admission tickets are $40 for the three day event. The annual Cardinals Caravan is scheduled in conjunction with the Winter Warmup. The Caravan will take place January 12-15. Six caravans will traverse six states, Missouri, Illinois, Arkansas, Indiana, Kentucky, and Tennessee. Details can be found at https://www.mlb.com/cardinals/community/caravan . January brings arbitration season. The deadline for teams and arbitration eligible players to submit salary figures is January 13. Any arbitration hearings will be scheduled during the first several weeks of February. The Cardinals arbitration eligible players are Michael Wacha, Tyler Lyons, Randal Grichuk, and newly-acquired Marcell Ozuna. This week’s history segment features the St. Louis Cardinals team from 1999. It was the franchise’s 118th season and the 108th in the National League. 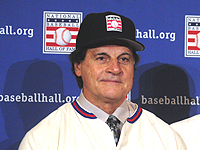 The Cardinals went 75-86 in 1999, and finished fourth in the National League Central, with manager Tony La Russa at the helm. It was La Russa’s fourth season as the Cardinals’ skipper under general manager Walt Jocketty and owner Bill DeWitt, Jr. Former GM and current President of Baseball Operations, John Mozeliak, was the Scouting Director in 1999. The Opening Day lineup was Edgar Renteria (SS), J.D. Drew (CF), Mark McGwire (1B), Eric Davis (RF), Fernando Tatis (3B), Shawon Dunston (LF), Eli Marrero (C), Placido Polanco (2B), and Donovan Osborne (SP). The longest losing streak was seven games, from August 23-30. The longest winning streak was four games, twice, from April 13-17 and July 22-25. The highest winning margin was a 16-5 victory over the Expos on May 1. The worst loss was a 17-1 defeat at the hands of the Giants on May 25. Home/Road splits were 38-42 at home, and 37-44 on the road. The top starting pitcher was Kent Bottenfield, who went 18-7 with an ERA of 3.97. (The right-hander would be traded to the Angels the next spring for Jim Edmonds.) The best offensive performance came from McGwire, who hit .278/.424/.697, with 65 home runs, and 147 RBI. This performance followed his record breaking 70 home run season in 1998. Some notable events in 1999 included Fernando Tatis hitting two grand slams in the same inning, on April 23, both off pitcher Dodgers pitcher Chan Ho Park. 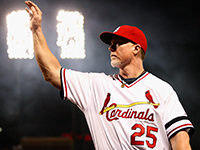 McGwire became the first major league player to hit at least 50 home runs in four consecutive seasons. On June 2, 1999, the Cardinals drafted Albert Pujols in the 13th round of the amateur draft and signed him on August 17.